More than 200,000 Canadians are homeless in any given year. Yet there are many untold stories about the homeless and the issues they face. 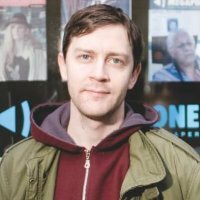 Sean Condon, executive director of Vancouver’s street newspaper Megaphone Magazine, discusses those stories and how to use the homeless as sources. How many Canadians are homeless? State of homeless in Canada 2013 estimates 200,000. As many as 50,000 might be hidden homeless. Coverage of homeless in Canadian newspapers rarely allows people to have a voice, says study. Homeless people are not given the same opportunities as experts to comment on broader issues. There to add colour and speak from personal experience. Something not right with that formula. Homeless people's voices are often a minority in stories about them. Condon says this is a wasted resource and opportunity re: creative solutions. Condon says video displays a common formula with homeless man's experience then moving to activist or expert. Condon notes that on Save-on-Meats token controversy coverage no homeless people [he noted] were asked what they thought. "One of the problems is that homeless people don't have the opportunity to respond... write a letter to the editor, comment." People are seeing that, see the formula and know what's going on. It makes them not want to participate. On approaching people: Need to acknowledge they might be going through a lot of trauma. Need to be sensitive. People might also not quite understand the ramifications of speaking to the media. Give people the opportunity to use first name, nickname or no name. Make sure they are OK with sensitive things being published, such as addiction issues. Re Flashpoint: By polarizing the issue with reporting can be dangerous. Where are we failing people who are actually trying to get help? These are the stories we need to focus on. Immersion journalism, sleeping in a shelter etc, does what? We need to hear this from somebody going through this. Alternative: 'Ride along' with a homeless person. Go with them and allow them to be the voice in the piece.